Do you feel like you can never find the time to write? Have you been chipping away at the same manuscript forever without much progress? Do you need a system that can get you to typing “The End” with success and satisfaction? Wrangling a fickle muse to meet a deadline—or just to get rid of that looming blank page—is a life-skill for everyone who wants to get serious about their writing. 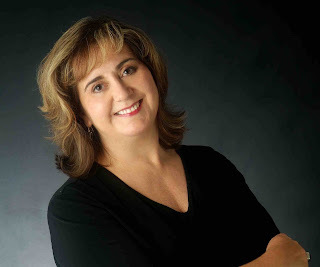 Allie Pleiter, the bestselling author of over thirty books, shares the nuts and bolts of how to manage your muse at the St. Louis Writers Guild’s March 3 workshop from 10 a.m. to noon at The Lodge Des Peres, 1050 Des Peres Rd, St. Louis, MO 63131. Free to Guild members; $5 for non-members. “You'll learn how to set goals and deadlines that reflect your personal writing style and speed--and smart ways to get faster when you need it,” Allie said. Join the thousands of other writers who have tackled the process of professional creativity using Pleiter's popular Chunky Method. With a useful mix of the practical, the inspirational, and the nitty-gritty real life of it all, this workshop gives aspiring or working writers the tools they need to make the magic happen. An avid knitter, coffee junkie and unreformed chocoholic, Allie Pleiter writes both fiction and non-fiction, working on as many as four novels at a time. The enthusiastic but slightly untidy bestselling author of over thirty books, Allie spends her days writing, buying yarn, and finding new ways to avoid housework. Allie hails from Connecticut, moved to the Midwest to attend Northwestern University, and currently lives outside Chicago, Illinois. The “dare from a friend” to begin writing has produced a seventeen-year career with over 1.4 million books sold. In addition to writing, Allie maintains an active writing productivity coaching practice and speaks regularly on faith, the creative process, women’s issues, and her very favorite topic—The Chunky Method of time management for writers. Visit her website at www.alliepleiter.com to learn more. Find out about the St. Louis Writers Guild at www.stlwritersguild.org.